Caught these intruders in action! 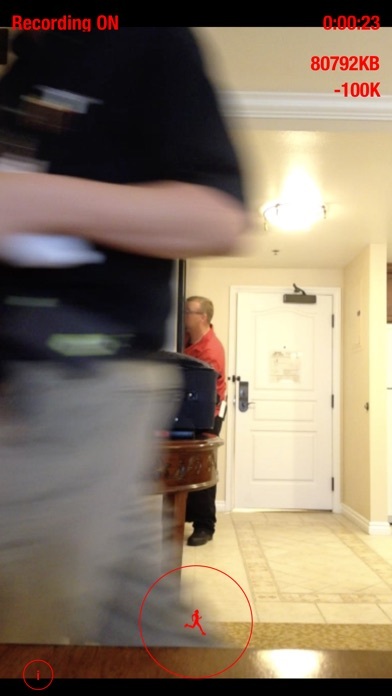 The screenshot shows a recorded scene of our hotel room, captured by this app. We weren't there, when this happened, and we didn't authorized them. Find out what happens to your hotel room, when you are gone! You can use it for your hotel room, your dorm room, your office, your house, your store or anywhere else, while you are not there. How long can it record? - Records more than an entire weekend, a week or a month! - Can record more than 1000 hours straight. - Set it to record and forget it. It will continuously record until you stop it. - Record your house, your office, your hotel room, your dorm, your shop, or anywhere, while you are gone! - Protected from Wi-Fi hacking. WPA2 is now breakable by hackers. - Use old iPhone, iPad or iPod! Supports iOS 7 and above! - Night Recording with Flash enabled. - Watch video files directly from the app. Tap "i" button to access all video recordings. - Do you need to copy a video footage? Copy video files via iTunes File Sharing. - Start/Stop Recording : tap a big circle button at bottom to start recording. Toggle it again to stop recording. - Copy Video files : Use iTunes File Sharing to copy the recorded video files. Under File Sharing in iTunes, tap the app and select all video files and drag-and-drop them to your desktop on a PC or a Mac. - Focusing Camera : tap anywhere on the screen to re-focus the camera. This auto-balances the camera focus, the contrast and white-balancing. 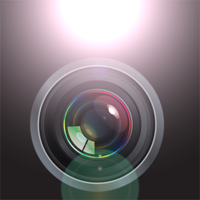 - Night recording: turn the flash on to enable the night recording. * The record capacity is determined by the free storage space available on your device. Please try to free up storage space by deleting unused apps, photos, music or videos, before using this app.